This set gives you colorful illustration of the three dimensions and their key elements. The playful colors create a fun dimension to any presentation. 6 brilliant full-color images demonstrate the PACE process. Lovely adult models show each step of the process. The set includes a colorful review page. Add clarity and class to any presentation with this lovely set. 6 brilliant full-color images demonstrate the PACE process. Adorable models show each step of the process. The set includes a colorful review page. Add clarity and pizazz to your presentation with this lovely set. 6 brilliant full-color images demonstrate the PACE process. Fun cartoons show each step of the process. The set includes a colorful review page. Bring a playful element into your next presentation with this charming set. 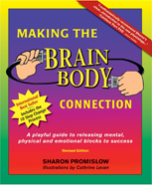 This popular, user-friendly book is rated as one of the top 100 books on cognitive psychology. It is an excellent bridge between leading-edge stress, learning and brain research. Learn about posttraumatic stress disorder, how it affects your body and how you can minimize its effects on you. 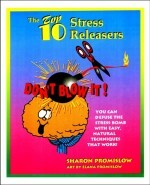 This playful handbook is a perfect tool to support the Top 10 Stress Releasers workshop. It contains all the information you need on how stress affects the body and shows simple techniques to reduce stress. Use these wonderful stress management tools to raise awareness to your stress level. Each packet comes with a color comparison chart to help you become aware how much stress you are experiencing. These charming pads are designed to support the one day workshop Making the Brain/Body Connection, but are also very helpful as a general handout of the essential techniques to keep yourself tuned up. Take a step up in professionalism with first class visual aids. Our digital teaching images are divided into theme packets so you can acquire the sets that best support your teaching needs. Finding that elusive work/life balance. Is it really possible? Permanent change……What makes change stick?